This poem was published in the December 2015 issue of Among Worlds (first published on my blog in 2014). Ready to start somewhere new. And know it’s my own. But where is that illusive home? And the smell of fresh pines in the mountain. And the ochre colored house. I love you, te quiero and ti amo. From north to south and east to west. And from a home that’s rooted in love. If you liked Adelaide’s poem and my poem, here’s another one for you, courtesy of Tayo Rockson, who was also inspired by Marilyn’s post! Feeling inspired? Please feel free to share your own I’m From poem in the comments, or if you write one on your own blog, I would love to link to it here! I had the privilege to attend the the FIGT conference as a Parfitt/Pascoe writing scholar, which allowed me to meet many wonderful people, do a lot of writing and learn a lot about this global community. Another great thing to come out of the conference was the chance to write an overview of my experiences for Global Living Magazine, as I mentioned in an earlier post. Well, that article is now available to view on their website, so I wanted to share the link and the layout of the article. I hope you’ll enjoy reading it, and if you’re interested in any further information, please don’t hesitate to ask! 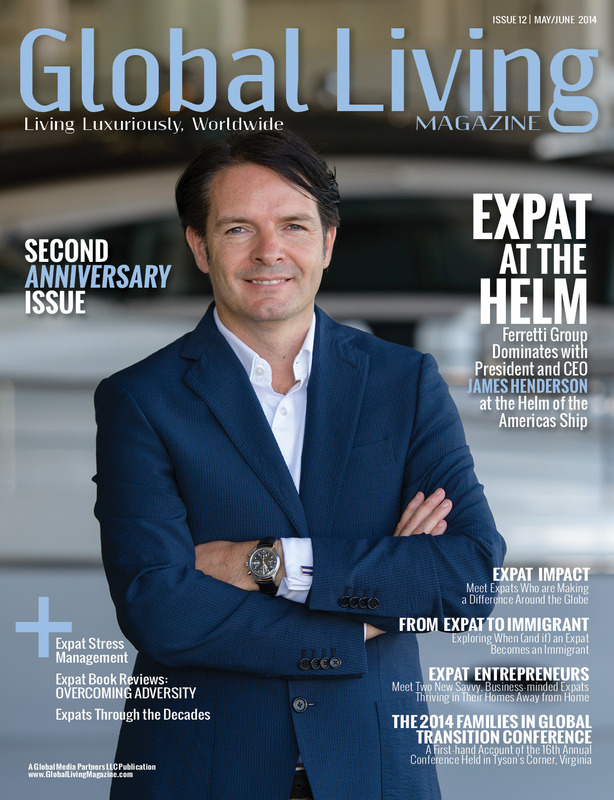 It’s been a great week for me as a writer – first my article was published yesterday in Global Living Magazine and today my book review on Expat Arrivals was published! The book review is about Valerie Besanceney‘s wonderful book B at Home: Emma Moves Again, which is a must-read for Third Culture Kids, their parents and teachers. It is especially directed at younger TCKs, but I think even adults would greatly benefit from it. I know that I saw myself in the story and I could really feel Emma’s emotions. It is a fantastic book that I would highly recommend to anyone working with TCKs. This is again going to be a short post to share my publishings, but I did want to thank everyone who has ever taken the time to read my blog. The comments I’ve gotten here have always encouraged and motivated me. 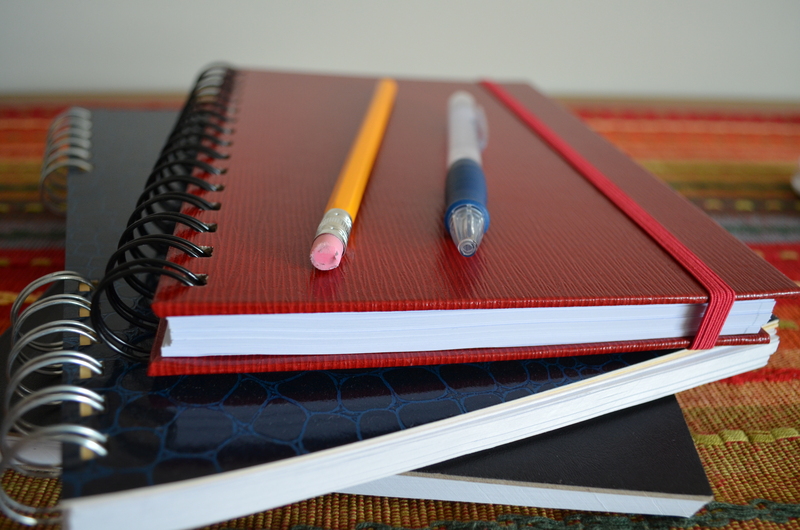 Without this blog I don’t think I would have been ready to tackle the writing residency I am currently doing and I probably wouldn’t have been prepared to publish articles either. This blog was my first real opportunity to pursue my passion and I’m grateful to everyone who has taken the time to read and comment. You’ve helped make my dream of being a writer come true, because you made me feel that what I wrote mattered. That has always been humbling and inspiring. So, a very heartfelt thank you and I hope you’ll stick around for more! I know it has been quite a while since my last post, but I’ve been kept very busy with articles to write following the Families in Global Transition conference I attended in Washington D.C. several weeks ago. As we are preparing a book on the conference, there has been a lot of writing to do and a looming deadline! In addition to the many individual topics I am covering for the book, I also managed to write an overview of my experiences that has just been published in the May/June Issue of Global Living Magazine! If you’re an expat or Third Culture Kid, or even if you’re simply curious about the conference and other global happenings, please check out the magazine! Today I am sharing a blog post by Linda Janssen, author of The Emotionally Resilient Expat: Engage, Adapt and Thrive Across Cultures, and blogger at http://www.adventuresinexpatland.com. After the Families in Global Transition conference, Linda decided to interview the four ParfittPascoe writing scholars: Cristina Bertarelli, Justine Ickes, Sue Mannering and me! “One of the highlights of the 2014 FIGT Conference – and believe me, there were many – was the introduction of the first ever group of Pascoe/Parfitt Resident Writers. This illustrious group is named after Robin Pascoe and Jo Parfitt, two luminaries in the field of writing and publishing books which speak directly to the experience of living and raising families across cultures in a globally mobile world. As an expat author and writer myself, I’ve devoured every single book by Pascoe (including a couple no longer in print) as well as at least a half dozen by the prolific Parfitt, my writing mentor and publisher, learning about everything from culture shock and raising global nomads to finding the humor in sometimes difficult cross-cultural situations and creating a location-independent career. Individually and together they have contributed greatly toward the genre that is now expat literature, from which so many can glean so much. If you’re interesting in learning about the writer’s residency or about us scholars, please head over to the FIGT blog to read more! Lately I’ve been having trouble getting my thoughts onto paper. I thought I would be overflowing with inspiration after the Families in Global Transition conference (FIGT) and I would be able to write endlessly. Instead, I find myself struggling to express everything I felt. I am overflowing with inspiration, emotions and thoughts, but I am unable to translate them into written words. Something I loved very much at FIGT was being surrounded by people who didn’t make me feel uncomfortable or out of place. My background wasn’t an issue, my experiences didn’t make me odd, people even knew how to pronounce my name and what it meant! But it wasn’t just my personal story that felt accepted – my professional story was as well. No one judged me or looked down on me for not having a 9-5 corporate job. So many others at the conference were freelancers in their own domain, or had started their own companies; but even those who do work in corporate environments weren’t judgmental when they knew I was a freelance writer. They showed interest or curiosity, wondering what I wrote about and what led me to writing. Everyone I spoke with at the conference was following their passion, and they also understood the need for a portable career. They understood me. Outside of the conference, in the “real world”, I often find it hard to be accepted for what I am. I felt like being a freelance writer and trying to pursue my passion wasn’t good enough, so I rarely told people that’s what I do. I usually said I was looking for work and that I sometimes did some writing in the meantime. I have been looking for work – both writing/non-writing related; that part is true. But I don’t ‘sometimes write in the meantime’ – I write all the time. And that’s what I want to be doing. I want writing to be my job and my career. Over the past few months I had started accepting this realization and was trying to push myself to say, “I’m a freelance writer”, when asked what I do. It’s not easy to make myself believe that. Even though I had published a couple of articles in a magazine, I still couldn’t fully convince myself. “If you long to turn your writing hobby into a portable career and want to be published in blogs, magazines on and offline, websites and maybe even books, this might be for you. It felt like an opportunity tailor-made for me. I wanted to apply but I was scared. Scared that it was too big a commitment and that I wasn’t good enough to do it. There was so much to do, both before and after the conference. There were lessons and articles to prepare beforehand and after it was a whole other story. There would be articles, blog posts and book reviews to publish; interviews to prepare and write-up; and the articles/chapters for the FIGT book. If I applied and was rejected, I would be devastated. If I applied and got accepted, I would be elated…and terrified. I was scared of failure and of success. But I couldn’t NOT apply. It was exactly the chance I was looking for. While waiting to know if I had been selected, I remember checking my email on my phone before heading off to sleep. And I never do that. I don’t even have my email set up on my phone. But I knew that the decision was probably made and I had to know. There was no way I could wait until the next morning to check. When I read the email telling me I was one of the four scholars, I was thrilled beyond belief. I couldn’t stop smiling. I even woke up my sleeping husband to let him know. The news was too good to keep to myself! I was so excited about being a writing scholar; it felt like a dream come true. Nervous as I was, I knew I was capable of doing it. I had been waiting for this opportunity and I was going to make it count. It was my chance to prove that I am a writer and that I can make a career out of my passion. 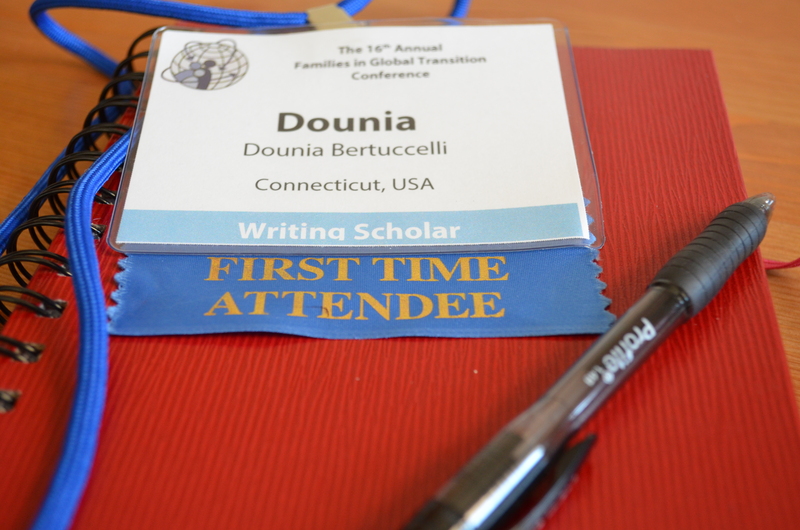 From the very beginning of the conference I realized that I was in the right place – both as a Third Culture Kid and as a writer. The fact that everyone around me was part of a global community fulfilled the TCK side of me, and everyone’s endless encouragement fed the writer in me. But among all the inspiring words, a few stood out – probably because they spoke directly to me and attacked my doubts about being a writer. At the writer’s forum on the first day of FIGT, Shirley Agudo* told us that “whatever you want to be, claim it”. Linda Janssen** echoed that thought, reminding us to own what we do and what we are. Sometimes the biggest step is saying those words: “I’m a writer”. Then we must learn to claim them and believe them. Well, I am a writer. I don’t know if I fully claim it and believe it every day, but I know I’m on the right track. Twenty-nine years. I don’t know exactly how many of those have been spent writing, but I know it’s many of them. I started keeping my first diary in elementary school and although my writing notebook isn’t a diary it’s still a journal of sorts. I don’t remember when I wrote my first poem but I know for sure that I have been writing poetry since middle school. 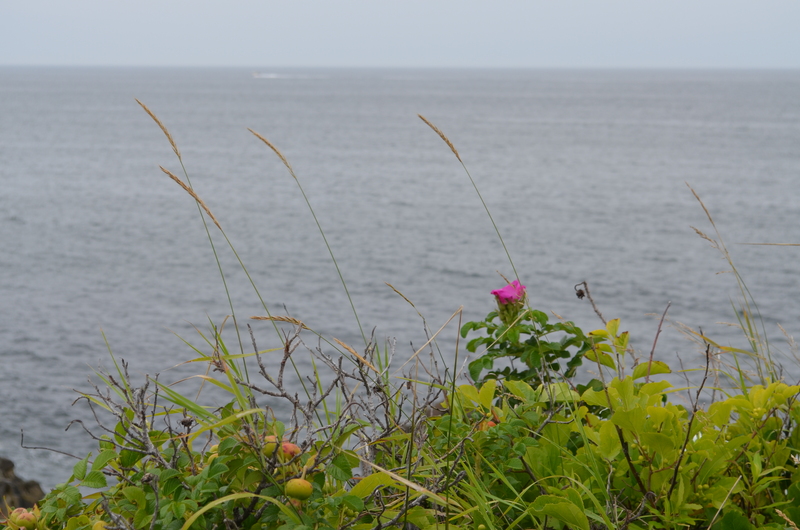 Many of the themes are still the same – love, nature, growing up a Third Culture Kid… Although the way I write about them has definitely evolved and matured since those first poems! I’ve written for a long time and I hope to keep writing for much longer. It brings me a joy and a comfort that I don’t often find elsewhere… And writing has carried me through many ups, downs and transitions. This blog is proof of that as I started it after one of my biggest transitions, and it has been a constant source of inspiration and comfort. It has kept me busy and connected, at a time when I felt otherwise idle and lonely. It has opened the door to many wonderful people and many unexpected opportunities. Writing continues to be such a source of joy and I hope it always will be. Thank you for following me on my journey. Thank you for your support, your company, your comfort and your inspiration. Here’s to many more years of writing – about love, nature, being a Third Culture Kid and everything else in between. Of that I will never be rid. Like many other boys and girls. Which is often spread worlds apart. But I have a hard time defining home. Like a dice of six faces. Part of my story and my journey. Of that I never wish to be rid.